The Shrimpers Trust has again entered the Aviva Community Fund scheme with the aim of welcoming disadvantaged groups to our Football Club. The Aviva Community Fund will finance over 500 projects across four different fund levels and three categories, giving money to communities across the UK. If our project gets enough votes and wows the judges, it will be in with a chance of getting much-needed funds. We hope that with the help of Aviva and our partners that we will be able to create a welcoming environment for various groups. This idea is to provide a short term experience that could lead to life changing benefits. People with disabilities - Southend United Football Club does not have good disabled facilities in the general area - this is something we have spent a lot of time working on with the football club. Special arrangements (would be made during this pilot scheme) to cater for any extra needs. Looked After Children - we have worked a little in this area before. The benefits are clear for all to see. Deserving Cases - A new idea to encourage and reward those who either feel isolated or who have performed a selfless act in their community. Local community groups and disadvantaged fans will be able to apply to us for Match Tickets so they can enjoy watching a game of football free of charge, which perhaps they would otherwise be unable to enjoy. Fans will also be able to nominate individuals or groups for a Match day experience as a means of acknowledging hard work and/or commitment to their local community. We intend to run a pilot scheme to offer free tickets, transport and refreshments on a match day. We would encourage and expect the Football Club (Southend United) to provide access to players and staff to make the day a memorable experience for all those involved and would work with partners/sponsors to maximise not only the 'Treat' but also our funds. We hope that by offering easy access and an enjoyable environment that we will make a real difference to a number of lives and hope to help the club continue with their excellent reputation in this area. The transport for those who lack the mobility or ability to travel independently. Match Day tickets (only where we cannot get these for free) for participants and their carers if appropriate. Refreshments at the events. (we will look for partners). Publicising the scheme (although our expectation is this will be minimal) and we would expect our good relationship with local media to help here. As the events are run by volunteers there are no staff costs to meet. 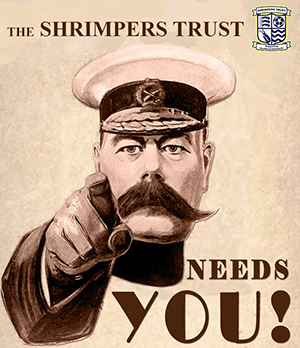 A grant will go a long way to ensure the Shrimpers Trust can support this additional activity which we hope will be run 10 times during the year - with the aim of reaching 100-200 people per year. We now need help from all supporters, their friends and family to enable us to obtain the relevant funding.